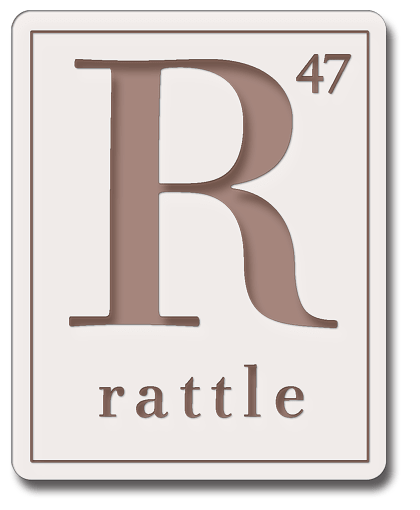 About a week ago, I had the pleasure to interview Timothy Green, an editor for Rattle. JC: What do you think makes Rattle different from all of the other hundreds of magazines out there? TG: Well, first of all we’re much larger. There are only a handful (maybe six?) magazines that publish poetry and have a larger circulation or more web traffic. We’re also far more independent than most — with no ties whatsoever to any academic community. None of us are literary insiders — we try to build a community from the ground up, and care a lot about openness and equanimity. We only publish poems that have been submitted to the “slush pile,” as they call it — we don’t solicit poems from anyone. If Billy Collins is in our issue, it’s because he submitted like anyone else. We encourage submissions and feel like it’s central to what we do as a non-profit. JC: What do you imagine as Rattle’s ideal reader? Our founding editor, Alan Fox, is a real estate investor and lawyer, not a “professional” poet. Our ideal reader is really him — someone who like to think about the world and our place within it, but doesn’t self-identify as a poet, necessarily. We imagine a random person picking up a copy of Rattle in a doctor’s office waiting room, because it’s more curious than Cosmo — they see that it’s poetry, but think they don’t like poetry. Then they read a poem and say, Hey, poetry’s pretty cool, I liked that. That’s our ideal reader.JC: What do you want your readers to get out of Rattle? To put this another way, what kind of conversation do you see the Rattle having with its readers? We want them to remember the poems they read, to feel “rattled,” so to speak, and to be inspired to write and share poems of their own. Nothing’s more fun than publishing a poem that was a response to a previous poem that we published — that’s happened quite a few times, and it’s always great to see. Poetry is a dialogue more than anything else — we want people to want to be part of the dialogue.JC: Is there anything in particular look for in the submissions you receive? Memorable things that we haven’t seen before, things that makes us feel new feelings and see the world in new ways, musical lines that stick in our heads. That’s pretty much it. I read 100,000 poems a year — it’s hard to be unique or original next to that volume. When poems are unique, they stand out, and you remember them. If I remember them, having read that many poems, I figure our readers will remember them, too, and that’s the point. JC: What would you like people to know the most about Rattle? We don’t play stupid literary games; we just like poetry when it means something and sings, and we’re probably the best home for your poems there is today. JC: Is there any advice you would like to give to young, unpublished writers? Just keep plugging away. It is a game, and rejection is part of the game. The most “successful” poets aren’t necessarily the most talented, they’re just the ones that stick in it the longest without getting bored or giving up. If you’re patient, there’s no doubt you’ll get things published, and if you keep working at telling your story, there are people who will love to listen. Please check out the magazine at their website, http://www.rattle.com.